Note: Let me know if you have any problems with downloading. How to make the basic knots, materials and sources, and some hopefully helpful tips....DOWNLOAD HERE. Great for Beginners! 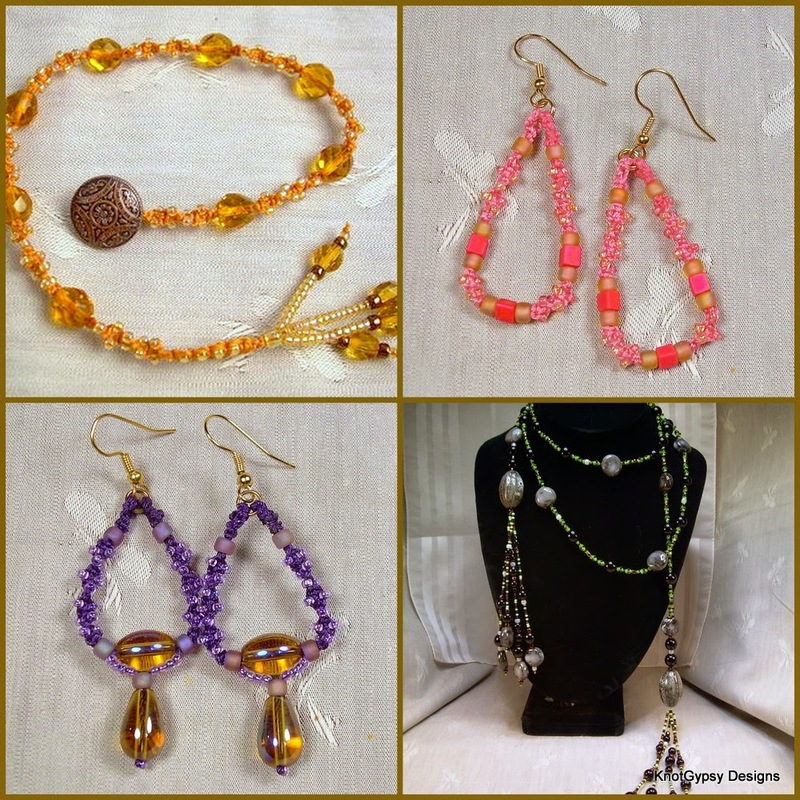 Using a simple half knot, learn how to make an anklet or bracelet, a pair of hoop earrings, or a lariat necklace...DOWNLOAD HERE. Another good project for Beginners. Using square knots and plenty of beads, make an elegant bracelet with a tassel for fun...DOWNLOAD HERE. 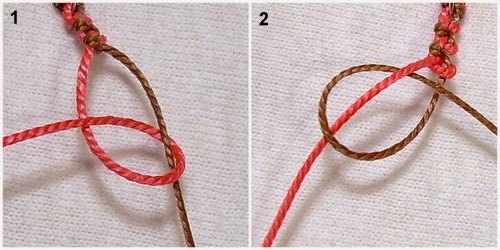 Recommend some beading/knotting experience - advanced beginners or intermediate. Cute and fun...DOWNLOAD HERE.